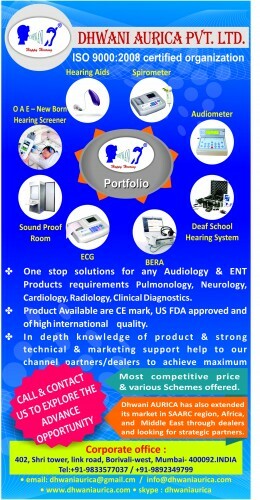 DHWANI AURICA PVT LTD – MedHospAfrica-Kenya, Tanzania, Africa Medical Importers Directory. We will be happy to associate with your esteem organization and partners with as preferred supplier in your.We have wide range in colours for hearing aids and, our products Audiometers are exported to more than 30 countries worldwide. Products offered are widely accepted among patients, professionals and institutional due to its durability ,quality and fair cost over and products are with international certification CE mark ,US FDA & ISO 13485. All our products comes with one year warranty. 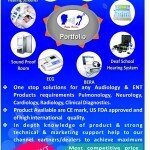 We will be pleased to submit our best quotation for Portable & Diagnostic Audiometer,portable spirometer, portable acoustic booth ,once you select the model and specify your order quantity ,our accounts & dispatch team will contact you for payments and shipment of your goods, and if you have any query please call or email, we will be reply back to you .